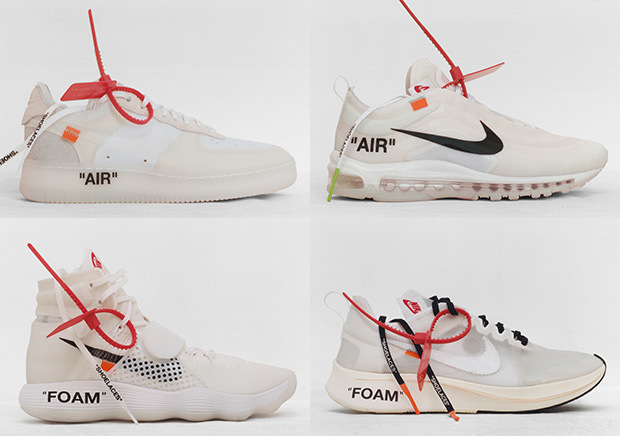 Last week saw the final release of Virgil Abloh’s “The Ten” Icons at retail, but with Nike postponing their online drop to SNKRS at a future date, chances at purchasing the shoes at retail still exist. For sneaker fans in Barcelona, retailer Sivasdescalzo is releasing the shoes this week through a series of online raffles in which winners must purchase the product in store. Sign-ups and registrations aren’t currently up on their site, but they do list the Hyperdunk 2017, Zoom Fly, Air Force 1, and Air Max 97 dropping this week. Again, this applies only to shoppers in Barcelona who can make the trip out to the store. For the rest of us, stay tuned for release updates for the OFF WHITE Nike shoes as it will hit SNKRS in North America in the near future.